The Teacher book for the study mandated by the 1992 General Conference of The United Methodist Church. It uses a balanced approach within the context of the official position of The United Methodist Church stated in The Book of Discipline. Six sessions for adult study groups. 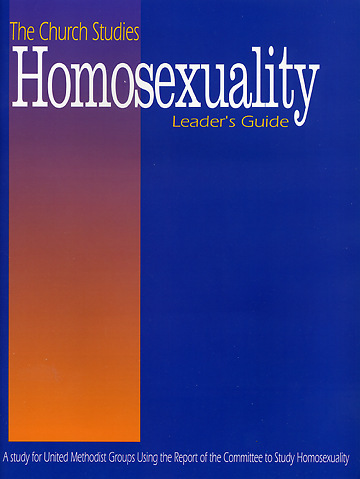 The Student book contains the complete text of the Report of the Committee to Study Homosexuality, as received by the 1992 General Conference of The United Methodist Church. It also includes the official UM position on homosexuality as contained in the Social Principles, plus other helpful study resources.